Smythson MEGA Review Part 3 – 12 Writing Papers Reviewed! Out of all the Smythson writing papers my four favorites are the ones I find to be the most unique. 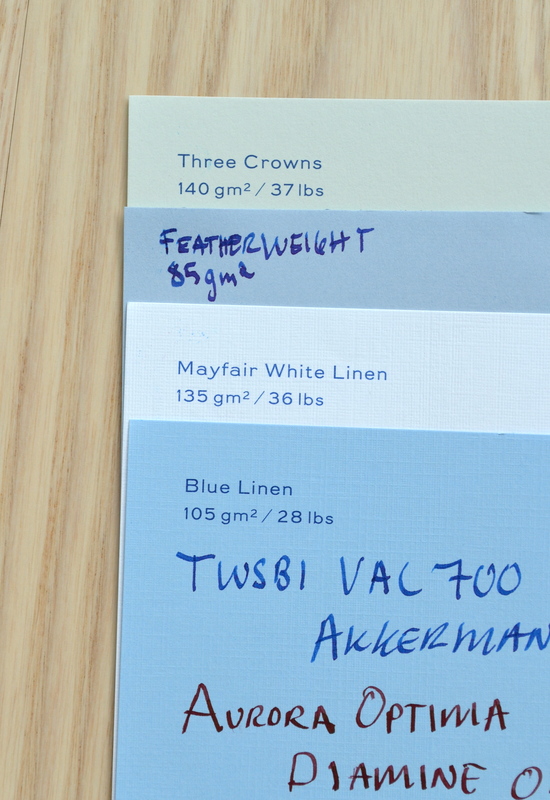 Three Crowns for it’s interesting but subtle color, Featherweight Blue for it’s beautiful watermark, and Mayfair White Linen and Blue Linen for their interesting finish. As I said at the begging of Part 1 all of Smythson’s papers are excellent and all are suitable for use with fountain pens. 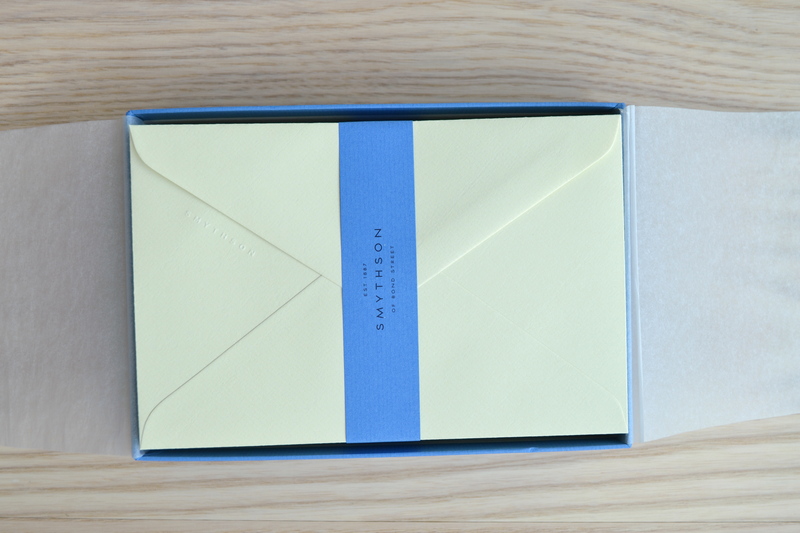 To compliment the writing sheets Smythson makes matching envelopes. Boxes of 25 (Kings size) go for $20. The envelopes are made out of the same papers as the writing papers. 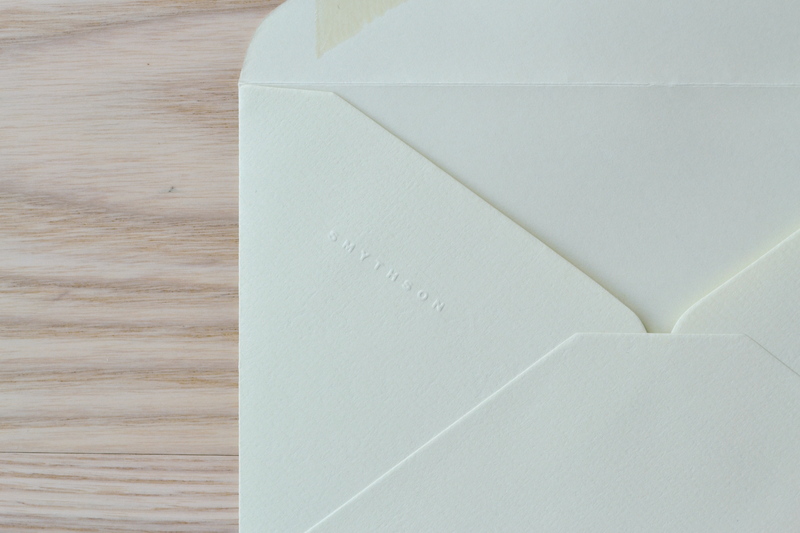 They are watermarked and are embossed with “SMYTHSON” along the flap closure. 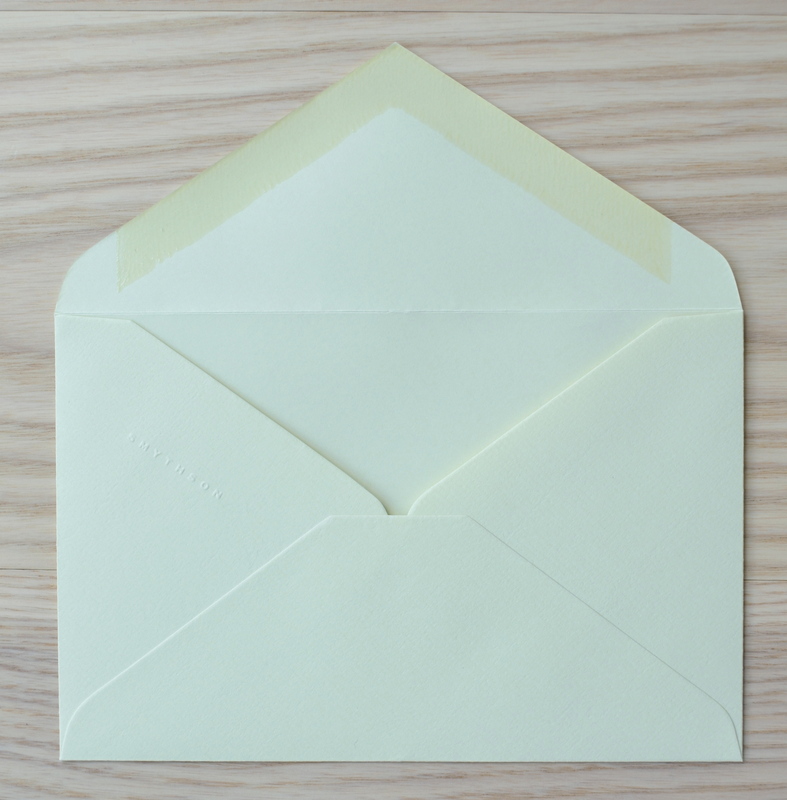 The envelopes are unlined and have and adhesive that needs to be wetted. I prefer self seal envelopes like the ones Clairefontaine makes. 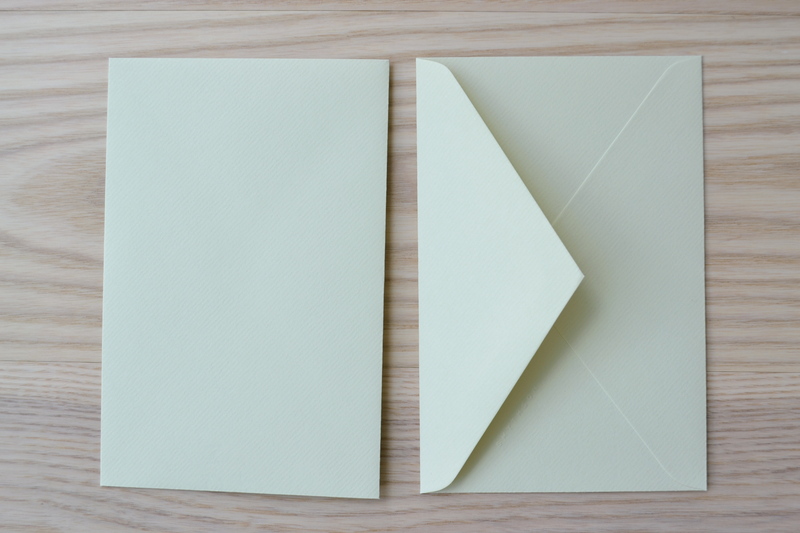 I don’t care too much about having a matching envelope as they are expensive and usually discarded. I thought I would end this third post with a Smythson buying guide designed for US customers. Buying most of these writing papers in the US is not that straight forward. This way is the easiest but the paper choices are limited. 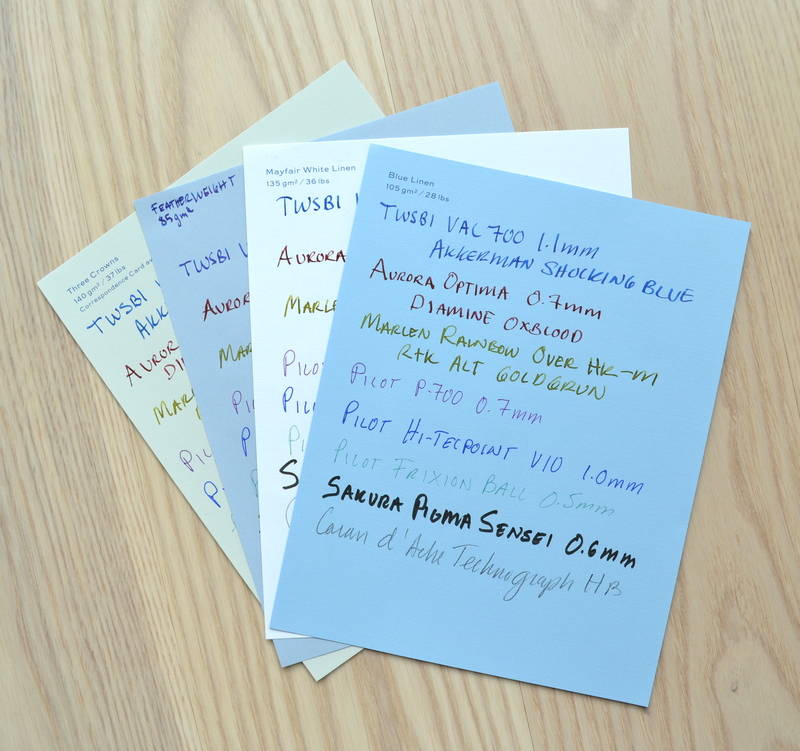 Online you will be able to buy four standard papers (White Laid, Cream Wove, Nile Blue, Bond Street Blue) in Quarto (8″ x10″) and Kings (6.25″ x 8″) paper sizes. Packs of 50 in the Kings size cost $15 and 25 Kings envelopes are $20. Shipping is from the UK via DHL at a cost of $15. At the New York store they carry one additional paper seasonally called Park Avenue Pink. This store also carries all of Smythson’s standard sizes: Duke (5.5″ x 7″), Kings (6.25″ x 8″), Imperial (7″ x 9″), Quarto (8″ x10″). To do this call Smythson’s 1-800 number and ask to talk to a UK representative at a retail store. You will be put through to either the Bond Street or Sloane Street store in London. 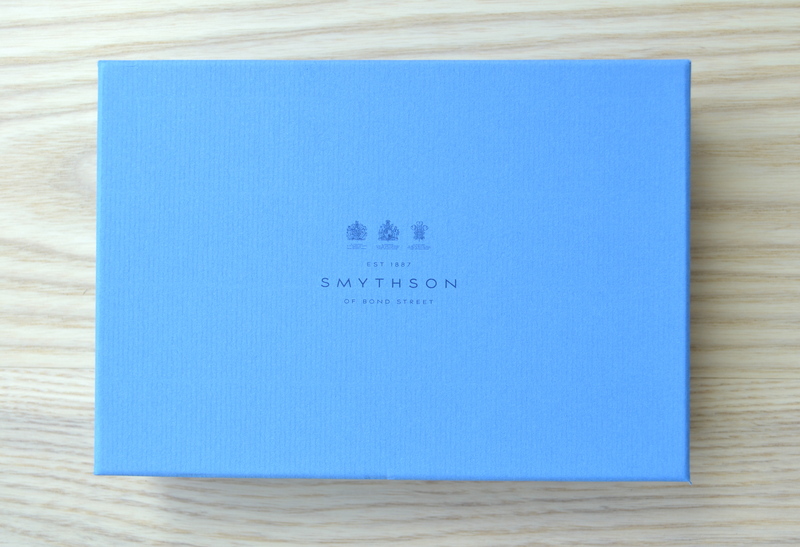 They carry the full range of Smythson papers prepackaged and though the cost is comparable (or better with the current exchange rates) the shipping cost is prohibitive such that you need to order a good volume for it to be worthwhile. Call the New York store and ask to speak to the Bespoke department. Tell them you want to order plain stationery. They can order the full range of the Smythson line in any quantity. You could buy 5 sheets or 1,000 (price breaks start at 250). 50 sheets in a Kings size is $18 and 50 Imperial sheets is $23. For the $18 you pay those 50 sheets don’t all have to be one paper you could do 10 sheets of 5 different papers and the cost would be the same. The other benefit of ordering through the Bespoke department is that shipping is free, so even if it’s an extra $3 for 50 sheets you save by not having to pay $15 for shipping. Lastly, there are nonstandard Smythson papers that can be purchased bespoke through their Color Plan line. These papers are considered a proper custom order and as a result have a longer lead time and a much higher price. I have not had the opportunity to sample any of these papers. Previous Post Smythson MEGA Review Part 2 – 12 Writing Papers Reviewed! Thanks for the detailed guide and reviews. I’ll check out the NYC store and order a few sheets from the listed store in the meantime. Thank you for your comment. You are most welcome!